AlphaEMS specializes in multilayer PCB assembly as part of our overall service commitment to PCB assembly. We offer flexible and rigid multilayer PCB board assembly solutions. Our multilayer PCB assembly facility has all the up-to-date printed circuit board production and testing equipment needed to complete your multilayer PCB assembly project to the highest quality standards. Located in Silicon Valley, California, we are convenient for all Bay Area companies and also near three major airports for our national and international clients. 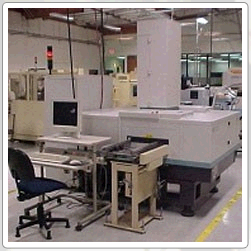 AlphaEMS’ PCB assembly facility includes all of the equipment needed for multilayer PCBs assembly. High speed and manual inspection capabilities ensure quality in the end product. 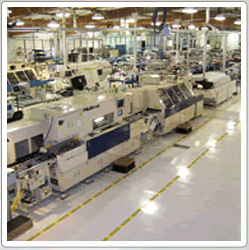 Our multilayer PCB assembly facility handles prototype, small-to-medium and even large and continuous production runs. We also offer quick-turn assembly services as well as full turnkey purchasing and kitting solutions in our secure warehousing and distribution areas. In the multilayer PCB assembly process the manufacturing of two or more printed circuit boards (PCBs) that are stacked together with a reliable, mutual connection between them. Used primarily in dense electronic equipment such as computers, military equipment and high speed circuits, multilayer PCB’s offer size, speed, and overall equipment manufacturing simplicity. Multilayer flexible PCB assemblies offer the designer the ability to create products in a smaller footprint and higher clock speeds. Learn more about our flexible and rigid multilayer PCB assembly services , including prototype, small, medium and large production runs, by contacting us today at (510) 498-9788.